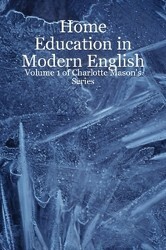 Charlotte Mason's ideas are too important not to be understood and implemented in the 21st century, but her Victorian style of writing sometimes prevents parents from attempting to read her books. This is an imperfect attempt to make Charlotte's words accessible to modern parents. You may read these, print them out, share them with your local study group--but they are copyrighted to me, so please don't post or publish them without asking. "Leslie did the world of Homeschooling a tremendous favor when she translated this so the rest of us could know what dear Charlotte was saying." ~Carmen T.
Purchase directly from the printer at Lulu.com, or from Amazon.com or Barnes and Noble; purchase for Kindle or Nook. The fresco at the Spanish chapel at Santa Maria Novella, Florence (John Ruskin called this fresco the 'Vaulted Book') is pictured online. Charlotte Mason discusses the top and bottom of one wall in various volumes. The fresco is attributed to Andrea di Bonaiuto da Firenze, a painter of the 1300's, but in CM's day, it was thought to have been done by Taddeo Gaddi and Simone Memmi. Charlotte Mason loved the way it illustrated her concept of the Holy Spirit gifting men with knowledge, even "secular" knowledge. You are welcome to transfer these to your device's Kindle app for free: Install Push to Kindle. II. The Habits of Application, Etc. Purchase Volume 3 from Lulu.com or Amazon.com; for Kindle or Nook; or Read Online. http://www.timeanddate.com/ and Thanksgiving and Easter dates were used to break up the books into a schedule.